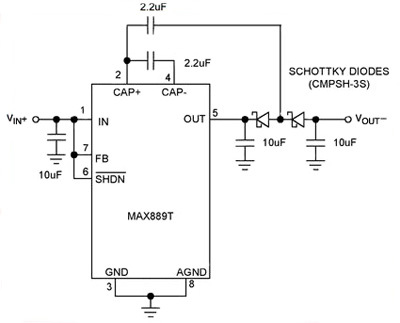 There are some applications, such as double-ended sensors and audio amplifiers that require a negative voltage for operation. With limited space on today’s system boards, creating a dedicated negative supply rail would add to the cost and space of the PCB. Hence, it makes sense to generate the required negative voltage from existing positive supply rails in the system.